I just finished watching a short clip of his life story. He would be considered a winemaking farmer. The story begins, in the video, as Gore begins life as a hardworking farmer. One scene depicts Tom, driving his deceased fathers pick up truck. The link is obvious, his father taught Tom what he knows today. He has taken this philosophy one step further and tells the farmer's story through wine. His true passion is for grapes. Since he was three he wanted to become a grape farmer. 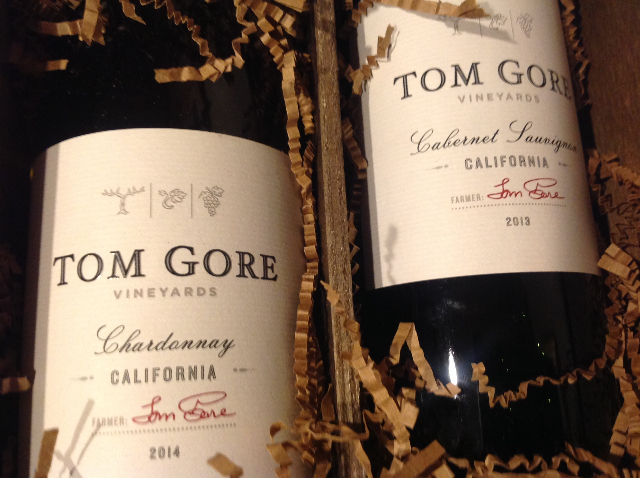 With this point of view and the opportunity to sample two of Tom’s wine, I took the challenge. The two wines were the latest releases, the 2014 Chardonnay and 2013 Cabernet Sauvignon. After opening the Chardonnay, the aromatics of the wine overpowered my senses. It is obvious that Gore understands the importance of a grape and what to do to it as it ages. The Chardonnay, from Sonoma, has a perfect, lively amount of acidity, which balances the creamy, velvety texture of the wine. Aromas abound, highlighted by tropical fruit, such as papaya, mango, asian pear and kiwi. 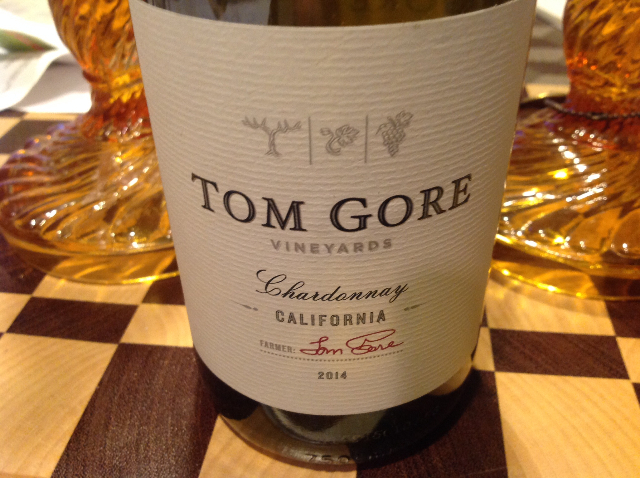 The 2014 Chardonnay is a unique interpretation and a wine that is worth trying. The second wine, the 2013 Cabernet Sauvignon has intense, concentrated, dark fruit on the palate with hints of espresso, nutella and blackcurrant. The wine is glycerol and lingers on the palate. It’s medium body is soft, lacks heavy tannins and is a pleasure for the palate. The aromatics are somewhat tame expressing lots of concentrated dark fruit with a faint bouquet of vanilla.